drycliftdays: Could "Greening my Geelong" mean destroying threatened species? Could "Greening my Geelong" mean destroying threatened species? The City of Greater Geelong (CoGG) is currently considering an application to destroy a roadside run of native trees that includes members of a threatened species. The trees are on the eastern side of Grubb Road opposite the Ocean Grove Nature Reserve and the application to destroy them is associated with the construction of the new Kingston estate. More information about the proposal is available from Ms Bree Lord, Statutory Planning Department, City of Greater Geelong (statplanning@geelongcity.vic.gov.au). The application has aroused widespread opposition, including an online petition (via change.org) asking Geelong council to retain the trees in Grubb Road. Organisers of the petition hope to gather 1,000 signatures and by 18 August 2016 have gathered 812. If you wish to comment on the proposal, you might like to use DCSCA's objection (see below) as a starting point for your own. Indeed, you might like to just copy DCSCA's objection and submit it under your own name, although personal touches always strengthen objections. If you submit an objection, could you please send a copy to DCSCA (dryclift@bigpond.com), so that we can keep a count. 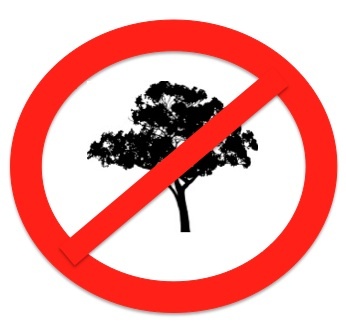 The Drysdale & Clifton Springs Community Association Inc. (DCSCA) objects to this application which, if granted, would lead to the destruction of a significant number of native trees on the eastern side of Grubb Road. Our reasons for objecting are presented below. 1. Loss of general amenity. Destroying these trees will completely change the character of this entrance to Ocean Grove. The trees are covered by a Significant Vegetation Overlay, because they form a striking entrance to Ocean Grove, enhancing the town’s character and attractiveness and screening an industrial area; destroying these trees would reduce the area from an attractive, semi-rural vista to just another suburban streetscape. However, if the trees were retained, they would actively contribute to the general amenity of the new housing estate. 2. Loss of amenity at the Ocean Grove Nature Reserve (OGNR). Destroying these trees will isolate the OGNR as an island of indigenous vegetation; and the large car park, together with the road itself, will form a large asphalted zone near the OGNR. This will seriously reduce the amenity of the eastern section of the OGNR, replacing the current view of paddocks and roadside vegetation with a bleak view of a car park. However, if the trees were retained, they would actively improve the area, breaking up and ‘softening’ the view from the OGNR to the new housing estate. 3. Reduction in environmental health. Geelong council promotes itself with the slogan “Greening my Geelong”, but is considering an application to destroy examples of a threatened species! Many of the trees are Bellarine Yellow Gums (E. leucoxylon ssp bellarinensis), which is listed as a threatened species; and the other large trees are Swamp Gums (E. ovata). Both contribute to the environmental health of the area by providing habitats for many species of birds, invertebrates and small reptiles. These trees effectively act as ‘spillovers’ from the Ocean Grove Nature Reserve, extending its effects without extending its boundaries. 4. Inadequate justification. The applicant argues that destroying the trees will make way for extra access points onto Grubb Road, as well as the main intersection between Grubb Road and Coastal Boulevard; but gives no clear reasons for creating these extra access points. The aim of destroying all the trees on the eastern side of Grubb Road appears to be to enable the Kingston Estate shopping centre to be built before Grubb Road is widened. However, there is no urgent need for shops to service the estate, given its proximity to the large shopping centre of Ocean Grove. · An urban design or landscape study, involving consultation with all stakeholders, is required to determine an appropriate treatment for the entry of the town, integration with the new Grubb Road activity centre as well as the rural interfaces. · · Community consultation should identify safety and traffic concerns to be addressed in the planning and design phase of the road project. Who needs SIX liquor outlets?